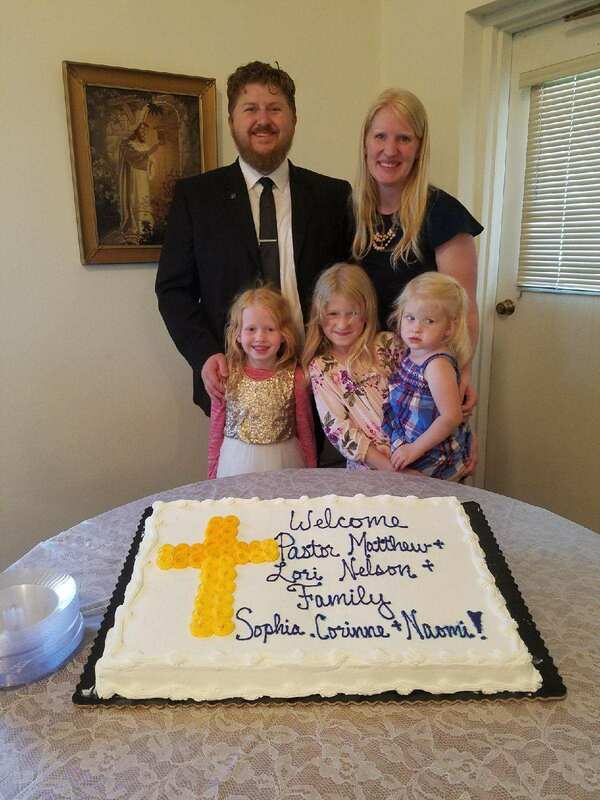 Pastor Matthew Nelson is a recent graduate of the Free Lutheran Seminary in Plymouth, Minnesota (AFLTS). 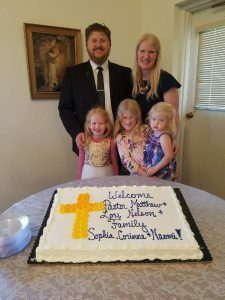 He served St. Ansgar’s Lutheran of Salinas, California for his Pastoral Internship and spent eleven years working with Youth, Young Adults, & music, and as an Associate Pastor prior to his Seminary education. Matthew is happily married to Lori (Onnen) and they have three daughters. They are originally from the greater Minneapolis area of Minnesota. Pastor Nelson is particularly passionate about pointing people to the Cross & the Resurrection that they might receive the forgiveness & freedom which Christ won there for them. He is also steadfastly committed to preaching and teaching the whole counsel of God’s inspired, infallible, inerrant, and creative Word which is able to save souls. Matthew is a basketball fanatic, a motorcycle rider, a dabbling musician, and lover of fine coffee & spicy food. Lori enjoys photography & calligraphy, and spending time with family. The whole family is excited to spend time golfing, barbecuing, and seeing you at the local parks.